When the people behind Knights of Badassdom wanted us to promote the film, I asked if they wanted us to review it. They said no. After watching it, I can understand why. That doesn’t mean I did not like Knights of Badassdom – I actually enjoyed it and I will recommend it, but I have to give a few words of warning first. The film features some high profile talents – Ryan Kwanten, Steve Zahn, Summer Glau and Peter Dinklage – who are LARPers (Live Action Role Players) that have gone to a big event out in the woods. Zahn’s character Eric has brought along an old book that he bought off the Internet that he uses as a prop spellbook; however it is in fact ancient book that can summon demons (kind of like the Necrocomiccon from the Evil Dead films). After he recites a spell, the book unleashes a succubus from hell, who starts to kill off the various LARPers in the camp. Eventually the heroes figure what is going on and try to save the day! This comedy/horror was actually filmed back in 2010, but it took more than three years for it to be released. Reports indicate there were issues in post-production, which might explain some of the (many) faults in the film. For example, there is very poor editing, so much so that viewers will wonder if they missed entire scenes. The characters are confusing in their actions, and I found it was sometimes difficult to understand what was being said. This review can go on talking about problems with the plot and cheesy special effects, but it would be best to say that this a film that won’t win any awards. However, there is enough funny moments to make it enjoyable. 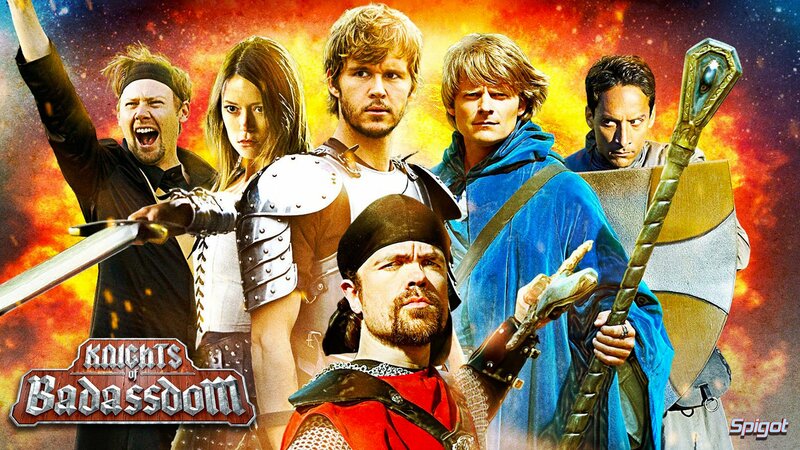 If you like corny movies, then spending an hour and a half with Knights of Badassdom will be time well wasted. You might be able to find Knights of Badassdom on Netflix or on digital download.